219 Vesta Street, Belmont, NC 28012 (#3483048) :: DK Professionals Realty Lake Lure Inc. LOCATION AND UPGRADES GALORE!! 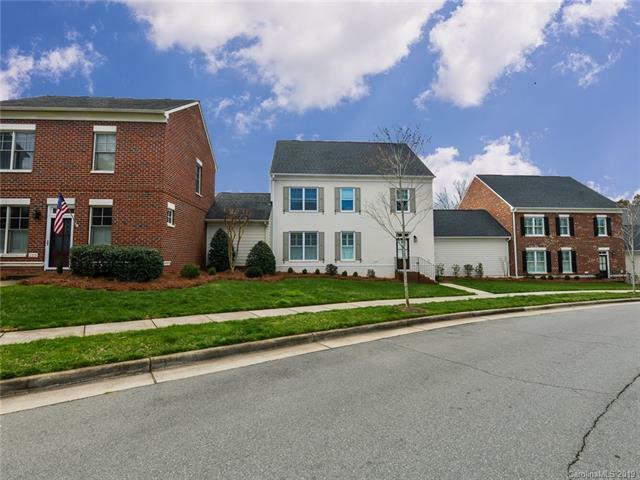 This 4 bedroom 3.5 bath, full brick townhome in Belmont Reserve is simply stunning. 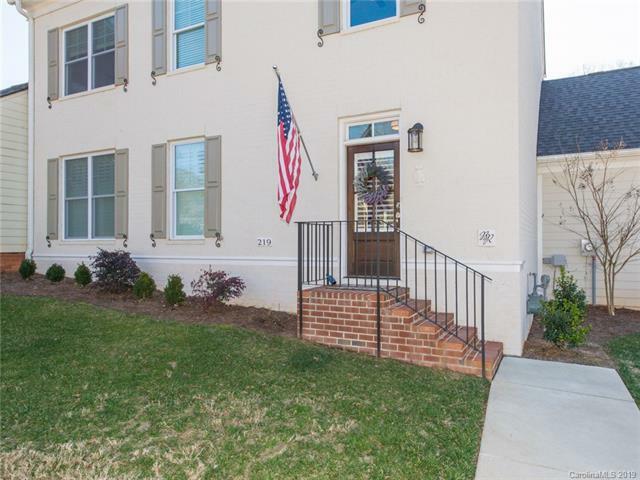 Walk to the quaint village of Belmont with restaurants, shops and community park. This unit combines the privacy of a single family with the carefree lifestyle of a townhouse, separated by garages (no common walls) with front yard, private pavered patio and an oversized 2 car garage (one of the largest in the complex!) 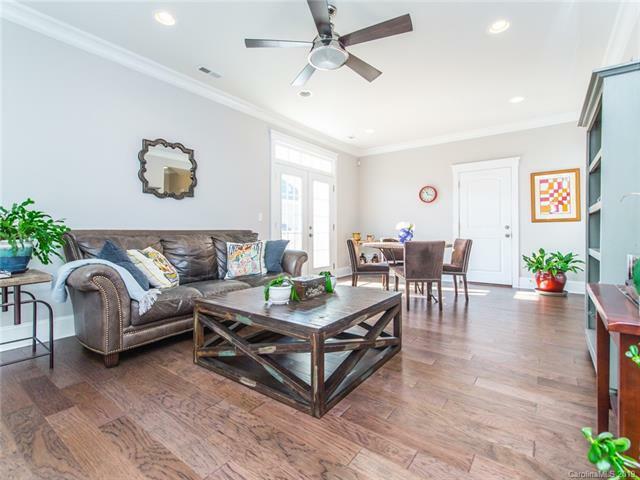 The owners added upgrades including hardwood floors in the whole home (no carpet! ), plantation shutters, expanded patio pavers (no yard maintenance! ), custom ceiling fans and a gas range. 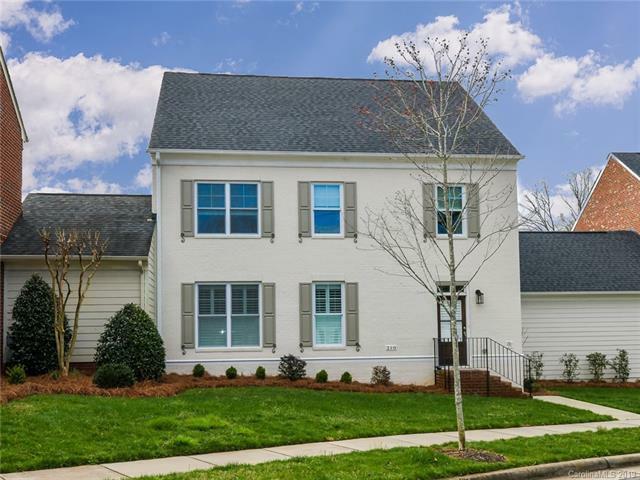 You will love the master suite on main with his/her closets, Carrera marble counters, extensive moldings and trim, walk in pantry, and the large loft/bonus room plus 3 additional bedrooms upstairs, all with attached baths and large closets. Impeccably maintained, you wont believe anyone ever lived here. This coveted community is fully built out so this home will go fast!